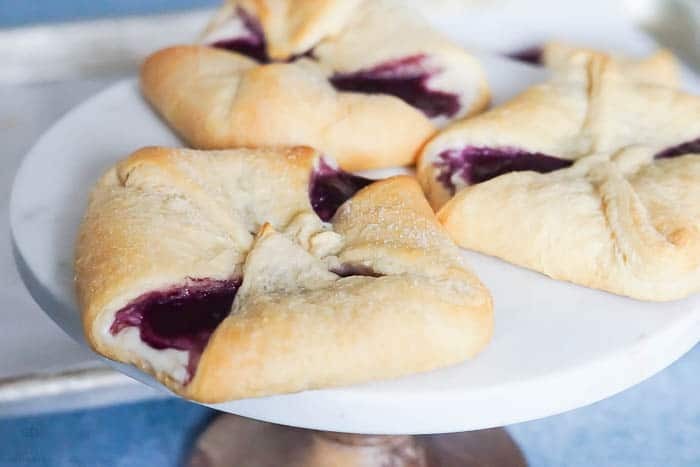 This is a sponsored post from Pillsbury™, all opinions, images and ideas are mine. 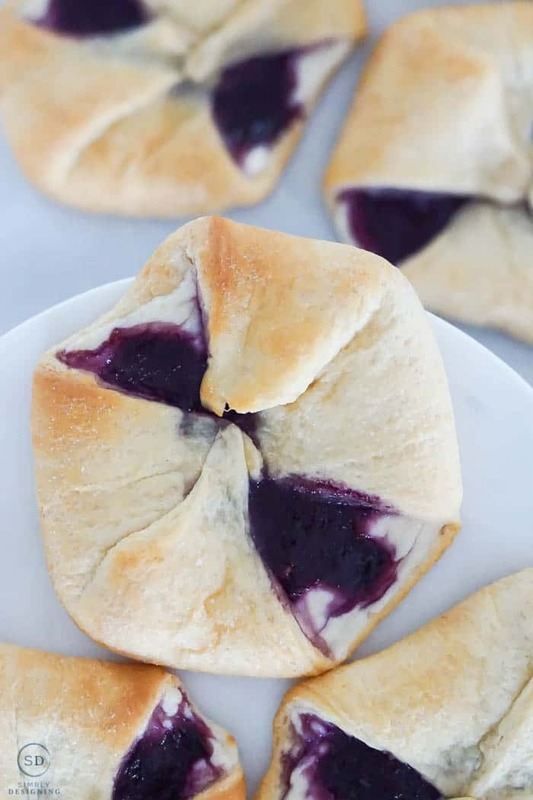 I am so excited to share my latest recipe creation with you because this crescent rolls berry cheese danish recipe is out of this world delicious!! 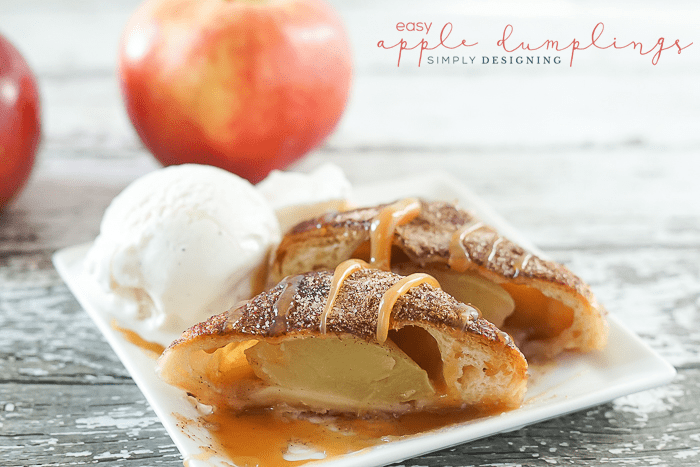 And because I used crescent rolls for this recipe, it was so easy to make just like my Apple Dumplings are easy to make! 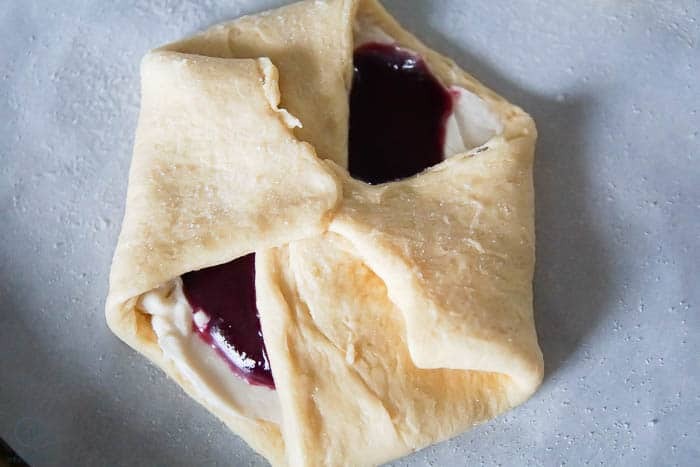 I used crescent rolls are the base of this recipe and then made my own cream cheese and berry filling and it was oh-so-scrumptious and perfect for breakfast, brunch or even dessert! 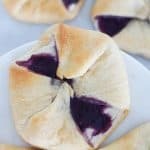 And with Easter coming up, this would be the perfect thing to serve at brunch because you can make them the day before, and enjoy them with your friends and family as you celebrate the holiday. 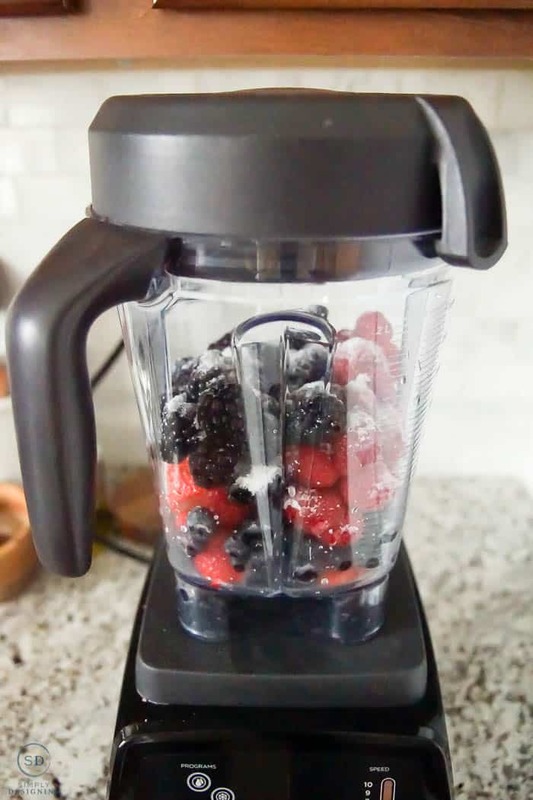 You will begin by placing your berries, lemon juice and granulated sugar in a blender and mixing until it is smooth. Place the berry mixture on the stove and bring to a boil over high heat, stirring frequently. Allow mixture to boil for 5 minutes. 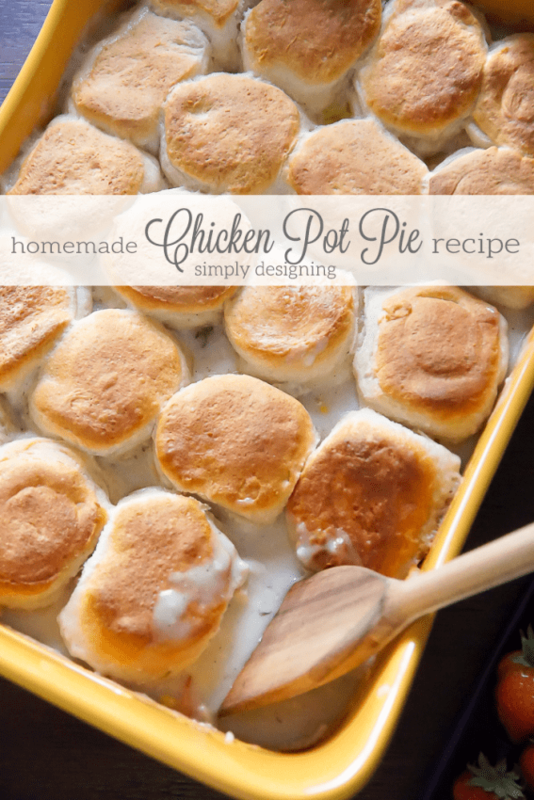 Remove from heat and place in the refrigerator to cool down and thicken just a bit. 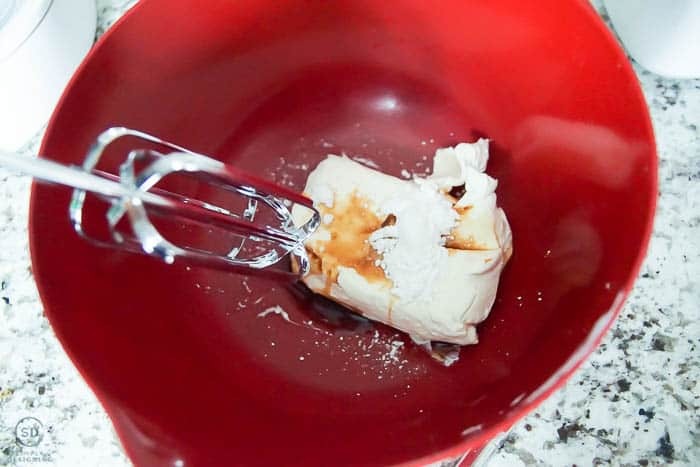 Mix softened cream cheese, powdered sugar and vanilla together with an electric beater until smooth. 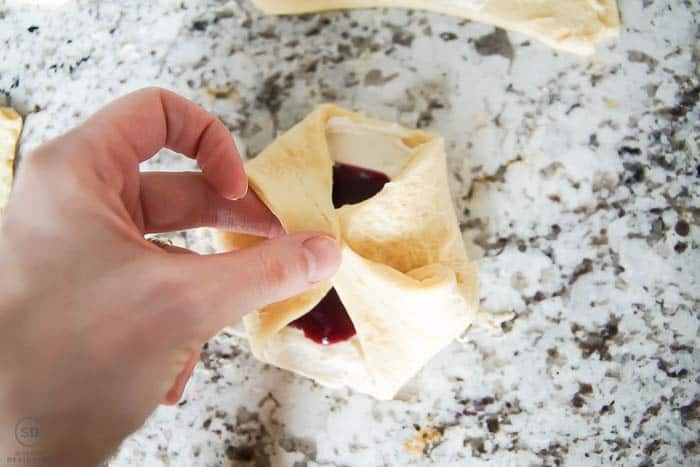 Take the dough out of the cans and pinch the seams together. 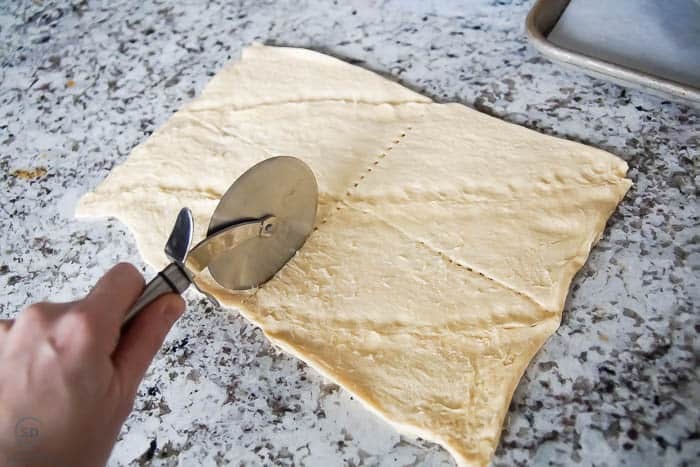 Cut each can of dough into 4 rectangles. 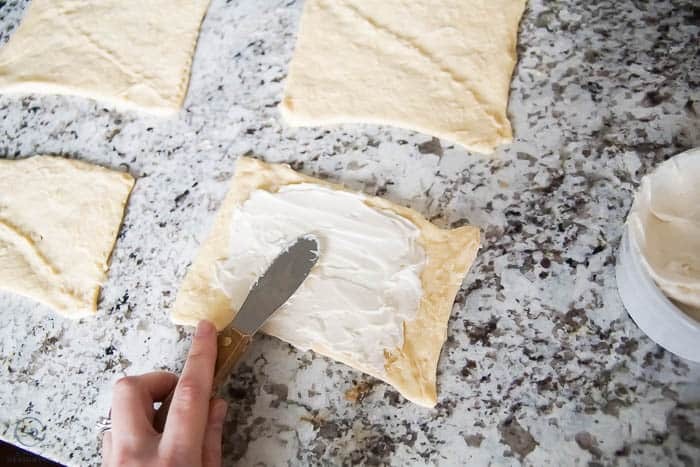 Spread the cream cheese mixture onto each rectangle of dough using about 1/8 of the mixture for each rectangle. 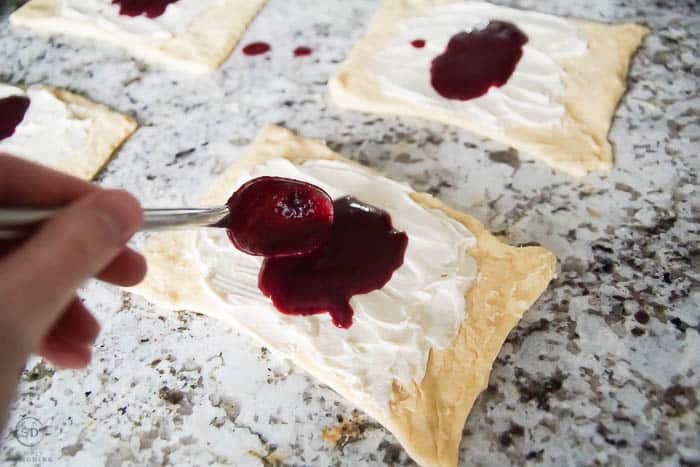 Spoon the berry mixture on top of the cream cheese mixture. 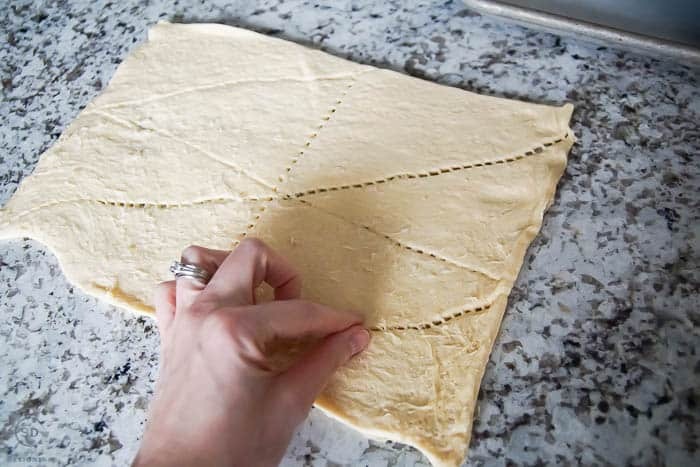 Bring all four corners of the dough to the middle and press them together. 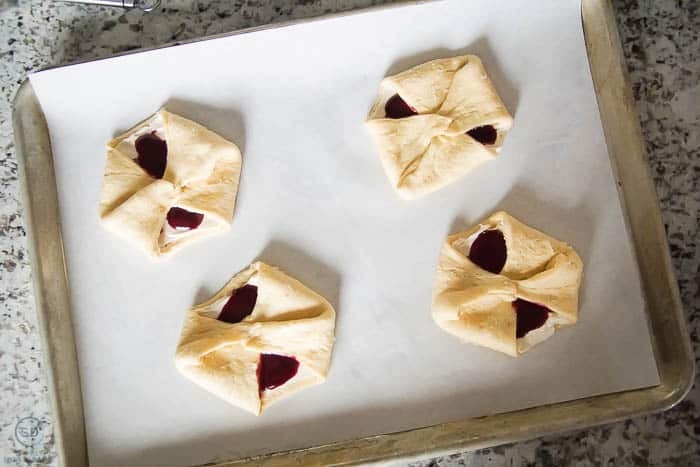 Place danishes onto a baking sheet and sprinkle with granulated sugar. Bake at 350 for about 10 minutes or until the rolls are lightly browned. 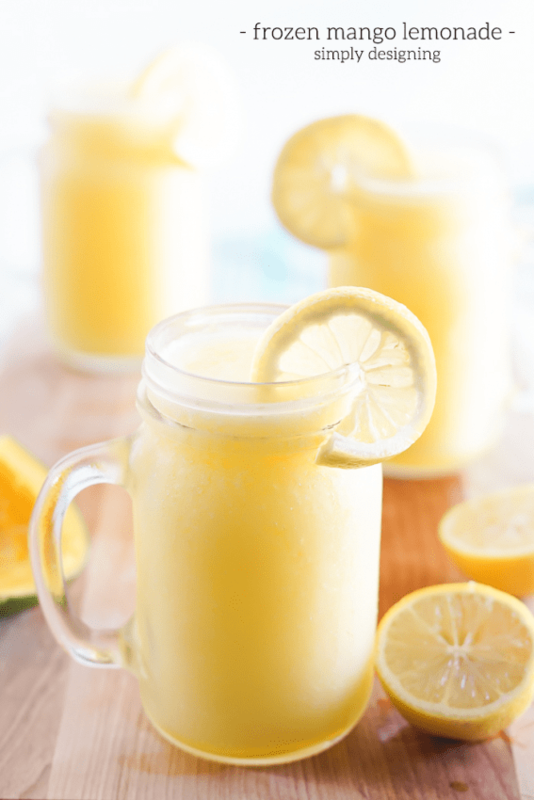 These taste delicious the day you make them or the next day! 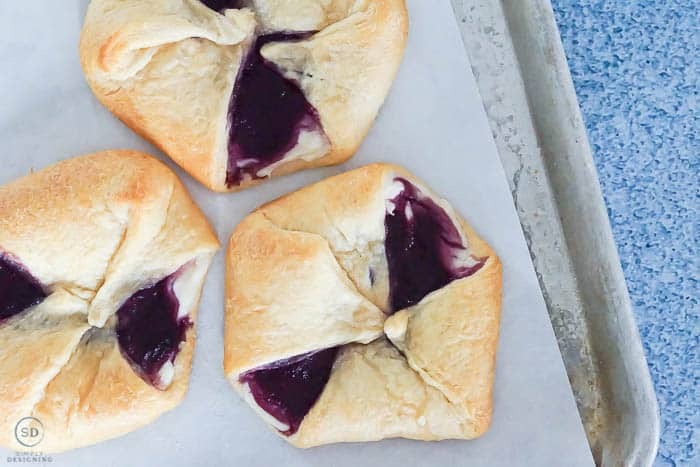 So they are perfect for making the day before and serving for breakfast on a busy morning or brunch for a special occasion like Easter. 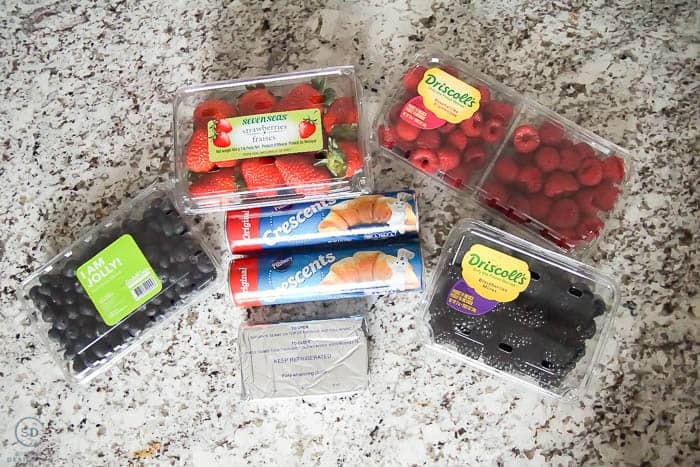 Oh and I almost forgot to mention, because, well, life, and bad weather, and a baby…I decided to try ordering my groceries for this from Walmart PickUp! 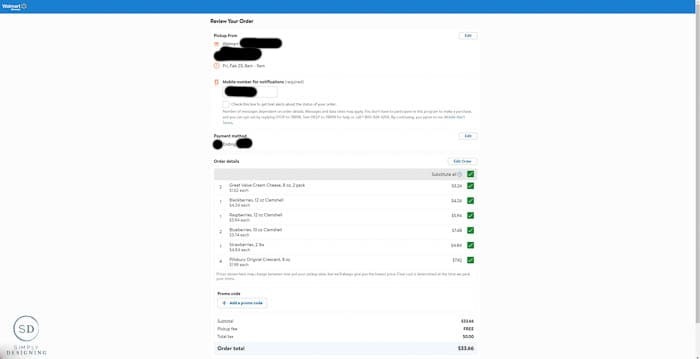 I ordered everything I needed for this recipe, plus a few extra things ($30 minimum) online and scheduled pickup for the next day between 8-9am. 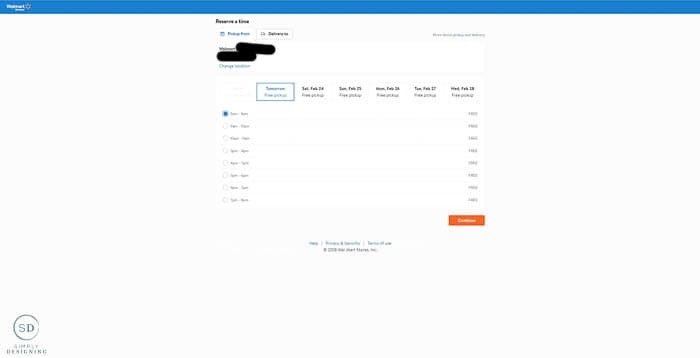 When I was on my way to pick up my groceries, I simply checked in on the Walmart Grocery app and it notified Walmart when I arrived. My groceries were brought to my car! I never needed to leave my car, or take my baby out into the rainy weather! 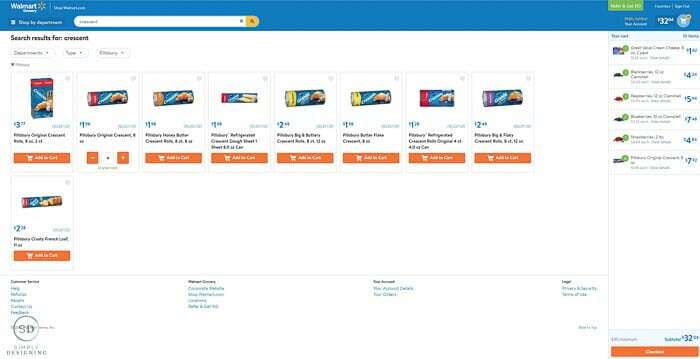 If you don’t have access to the Walmart Grocery app, you can call when you arrive and they will bring your groceries out! 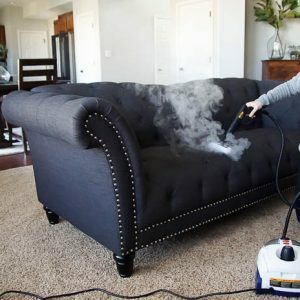 This service saved me so much time and made my life so much easier! 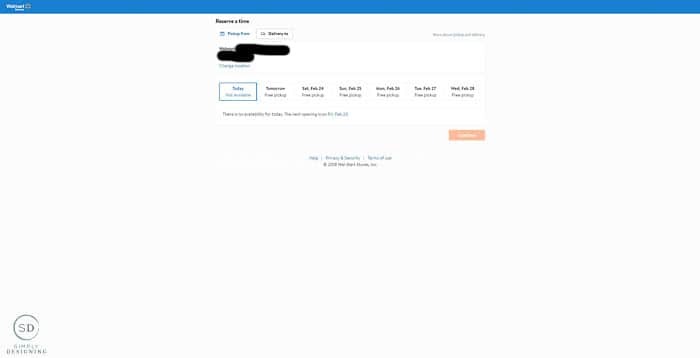 I will definitely be using this service again in the future. Oh wow! 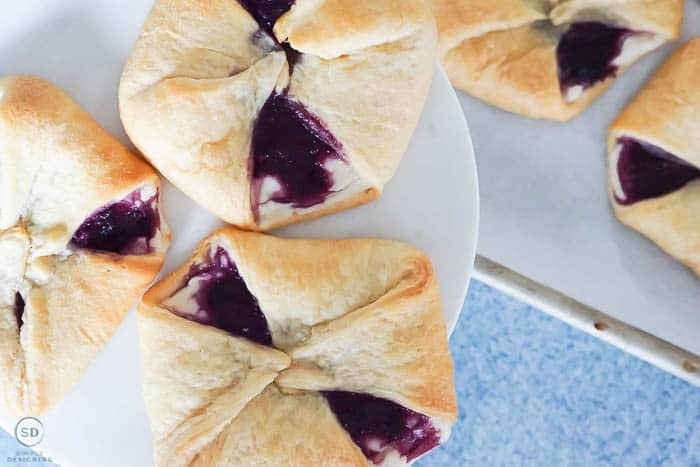 These look so good and totally doable for me!